Pre-sliced. Aged for 2-3 months, lean, salted beef with a sweet, peppery aroma. 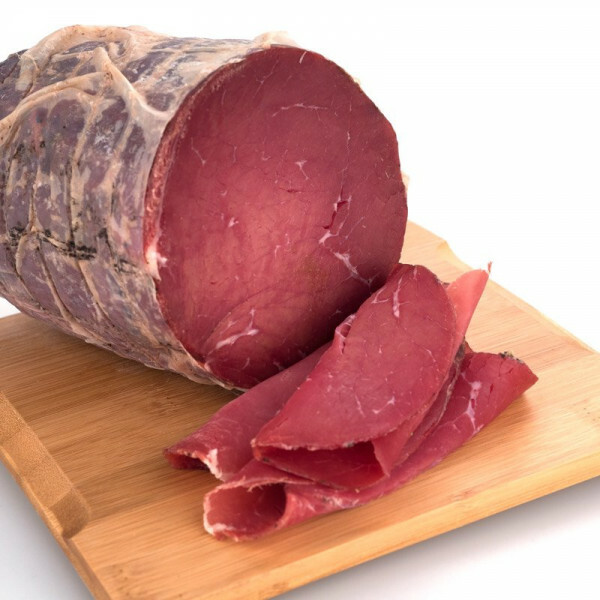 Bresaola originated in Valtellina, a valley in the Alps of northern Italy's Lombardy region, although it's now produced in many other regions in northern Italy. 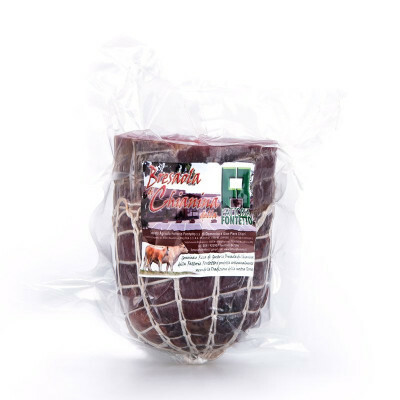 This version is made from 100% Chianina cow, the Rolls-Royce of cow breeds, and comes sliced, for easy use. Add to a rocket and artichoke salad or enjoy as part of an aperitivo. 10 days as per vacuum pack regulation. Freshly sliced and sealed in vacuum packed on the dispatch day.